Dr. K. S. Rama Rao, received B.E. (Hons.) degree from Andhra University, College of Engineering, Kakinada; M.Sc. (Engg.) degree from University of Madras, P.S.G. College of Technology, Coimbatore; and Ph. D. degree from Indian Institute of Technology, Kanpur, in Electrical Engineering in 1962, 1963 and 1979, respectively. 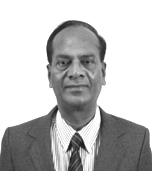 In 1963, he joined the Department of Electrical Engineering, College of Engineering, Kakinada and became a Professor in 1990 at J.N.T.U. College of Engineering, Kakinada. Later he joined the Department of Electrical and Electronic Engineering, Universiti Teknologi PETRONAS, Tronoh, Malaysia and served in the Faculty until 2012. He joined Jawaharlal Nehru Technological University Kakinada, Kakinada in 2014 as Programme Director, School of Renewable Energy and Environment.